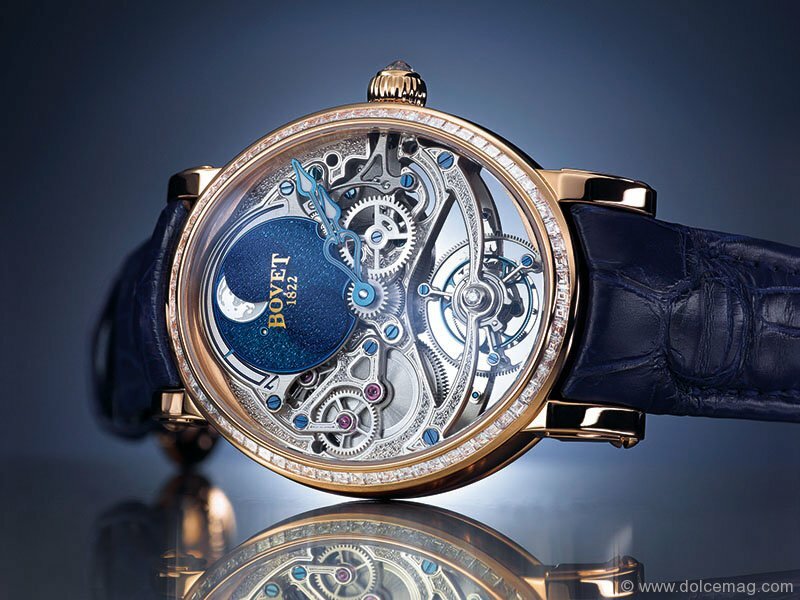 Time is of the essence and Bovet spares no second of luxury. With nearly two centuries of experience producing quality timepieces, the luxury Swiss watchmaker has yet to compromise on quality. Pascal Raffy, owner of Bovet since 2001, forges ahead once more, encompassing reliability and precision within the movement of architecture in Bovet’s most recent timepiece. The Récital 9 Tourbillon Miss Alexandra ladies watch is the latest to grace the Dimier Collection, and sets the bar high with its exquisite quality and ethereal beauty. At 41 mm long and 37.5 mm across, 21,600 vibrations per hour and a 7-day autonomy, the Miss Alexandra is a powerhouse in both design and magnitude. The masterpiece is available in both 18-karat red or white gold, and wraps delicately around the wrist in hand-stitched alligator skin. 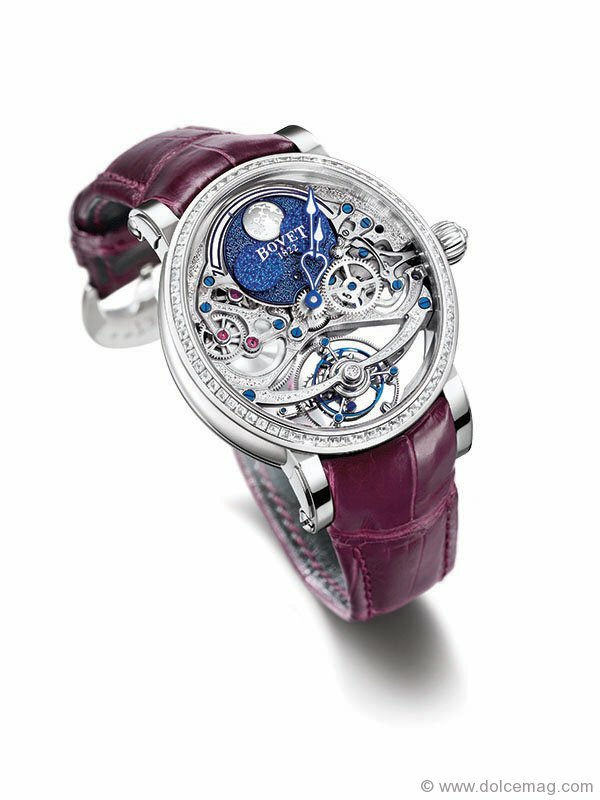 This is Bovet’s first timepiece to be adorned with an oval case, adding to its esthetic success. Following the lunar cycle can be very fulfilling in developing a deeper connection with the planet. The moon phase display will have the wearer seeing stars. Its exact engraved cartography of an entire moon face is filled with a brilliant luminescent substance staged by a blue silver plate, which creates the design of a celestial galaxy dotted with stars. The moon remains in place as two sky-coloured pallets serve to cover the moon and show its age. Distinction places Bovet in a class all its own. Ornate details, engraving and classic miniatures embellish the face of its many collections that originally made the timepieces a 19th-century luxury since the manufacturer’s inception in 1822. Raffy repeatedly proves to manufacture timepieces tailored to collectors’ high expectations. Personalization options are endless. Just like any other piece in a woman’s wardrobe, her timepiece shares her story. As an anthem to femininity, it speaks for itself: the Récital 9 Tourbillon Miss Alexandra is for the sophisticated lady with taste and an eye for the exquisite.